Low back and neck pain affected 11.9 million people. Seven million people had falls. Nearly five million people were disabled by osteoarthritis, and three million by other conditions of the bones, joints and muscles. Up to 40% of sick days are related to musculoskeletal (MSK) or mental health, and a 2015 survey reported that 25% of NHS staff had experienced MSK problems due to work related activities in the past 12 months – that’s 325,000 staff. The MSK system consists of joints which are moved or stabilised by muscles and their tendons, supported by ligaments. The MSK system is controlled via the nervous system including influence from higher centres in the brain. There are over 200 MSK conditions resulting from dysfunction in any of these structures. As the fourth largest area of NHS expenditure clinical commissioning groups (CCG) need to ensure MSK services are effective and evidence-based. Management of most MSK conditions does not require orthopaedic input, and triage to efficient community services based on exercise and rehabilitation can reduce secondary care referrals by up to 40%. This empowers patients to self-care and saves money. Nurses working across community and primary care need to understand the potential for MSK rehabilitation and upskill in MSK so they can diagnose and give sensible self-care advice and know when to refer on. Community nurses could enable or encourage patients to avoid being housebound. 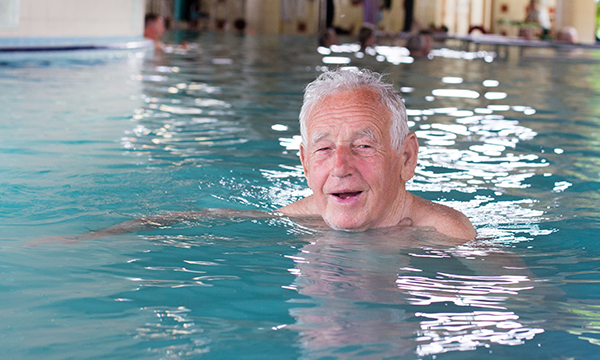 If joint pain or muscle weakness is the problem, patients need to become more active not less. If your patient is passive in how they live their life, ask yourself if you and your service are complicit in this? Could your patients attend a rehabilitation programme and start moving? What would it take to achieve this and what barriers need to be overcome? Anyone with a musculoskeletal (MSK) complaint needs an accurate diagnosis provided by an expert, which may need a physiotherapist or GP with special interest in MSK or a sports and exercise medicine consultant to be involved. Set the scene for patients. The secret to success should focus on activity related rehabilitation based on self-management. Pain should not be avoided and physiotherapists will emphasise this to their patients so please set that expectation. Hands on or interventional management can create dependency and may result in poorer long-term outcomes than self-management, and patients need the expectation set that they will need to take steps to manage their condition. A Connect Health study has shown that 68.4% of patients guided to self-manage by physiotherapists demonstrated a significant clinical improvement (Caplan et al in press). Some elective surgical solutions for MSK problems are avoidable if a balanced programme of activity, focus on strength coordination and aerobic fitness is used. A revolution is taking place in understanding the evidence-base for helping people with MSK problems. Some standard orthopaedic operations lack a good evidence base, but are provided in increasing numbers: knee arthroscopy, shoulder decompression and spinal surgery for low back pain, for example. Conversely, exercise based rehabilitation has a strong evidence-base but has been under-stressed and probably under-funded for many years. Relying on expensive, passive and sometimes low value surgical treatments contributes to significant inefficiencies of the system. A biopsychosocially directed decision is needed and nurses excel in these. Nurses can help in re-setting patient expectations and empowering patients to undertake steps to help themselves. The philosophy of care has changed. It is moving away from hands-on management and manipulation by physiotherapists to self-management with patient empowerment, based around functional exercises. Those exercises should be more intensive and modern programmes significantly load body tissues to stimulate the patient's recovery. Self-care based on physical activity and targeted exercises has good clinical outcomes. There is also a change in philosophy around pain in rehabilitation. Pain is now seen as a natural part of recovery and avoidance of pain is often a factor for poor outcomes. Exercising into pain seems to be essential to recover. The old phrase of “no pain, no gain” is evidence-based. Patients need to understand that pain is natural and not a warning of damage occurring during movement. What about nurses’ own health? Low back pain is common in nurses. There have been many years of in-depth instruction on lifting techniques as this was thought to be the cause. However, there is little clarity that poor lifting techniques are responsible for back pain and back pain has not gone away in nurses as lifting patients has declined (Wai et al 2010). Risk factors for lumbar pain in nursing include poor conditioning, being overweight, poor diet and lack of physical activity. Dealing with the pain, accepting that pain is not representative of damage occurring and keeping going are important. Connect Health is an independent provider of community MSK services (including orthopaedics, pain and rheumatology). Find out more about its model of care which uses performance data to improve service efficiency and can reduce NHS patients’ average waiting times from 6-12 weeks to 48 hours for first contact with a physiotherapist, providing more preventative care. Arthritis and Musculoskeletal Alliance: What are Musculoskeletal Disorders? Caplan et al (in press) Associations between community-based physiotherapy for musculoskeletal injury and health related quality of life (EQ-5D): a multi-centre retrospective analysis. Health and Quality of Life Outcomes- accepted for print. Wai EK, Roffey DM, Bishop P et al (2010) Causal assessment of occupational carrying and low back pain: results of a systematic review. The Spine Journal. 10, 7, 628-638. Graeme Wilkes is sport and exercise medicine consultant and medical director at Connect Health, Tyne and Wear.